Josie, an 11th grade student from St. Anthony, Minnesota. Click here for her essay. Shea, an 11th grade student from Ventura, California. Click here for her essay. Note: In 2019, we doubled the grand prize giveaways! Thanks to the generous support of the Friends of the Boundary Waters, we selected two grand prize winning essays! Both authors will receive their own grand prize fully outfitted BWCA trip for themselves and two or three of their friends! Thanks for your interest in Ely Outfitting Company’s Second Annual Boundary Waters Teen Essay Contest! The deadline for entries is February 10, 2019. 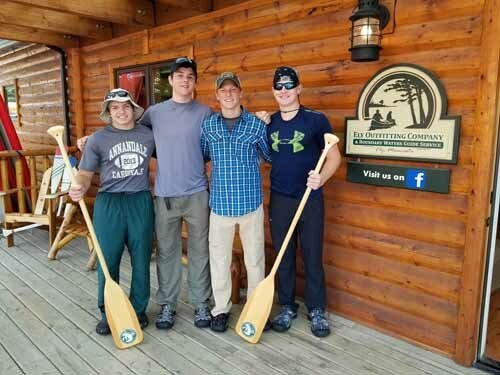 The contest is for high school sophomores, juniors, and seniors interested in the chance to win a fully outfitted five-day canoe-camping adventure in the Boundary Waters Canoe Area Wilderness with two or three of their friends - and no parents allowed. Please carefully read all the information on this page before submitting an essay, and consider talking about the idea with your parents to ensure they’ll give you and your friends the thumbs up to do the trip if you win. In 1,000 to 1,500 words, answer this question: Why do you want to go on a parent-free BWCA Wilderness canoe-camping adventure with your friends? Ely Outfitting Company will outfit the winning writer’s group with our complete outfitting package. This means you’ll explore the Wilderness with the best gear used by the most savvy Wilderness travelers. The package includes ultralight Kevlar canoes, backcountry tents, sleeping bags, specialized trail meals, navigation maps and much more! We are also providing an emergency communication device for this self-guided trip. 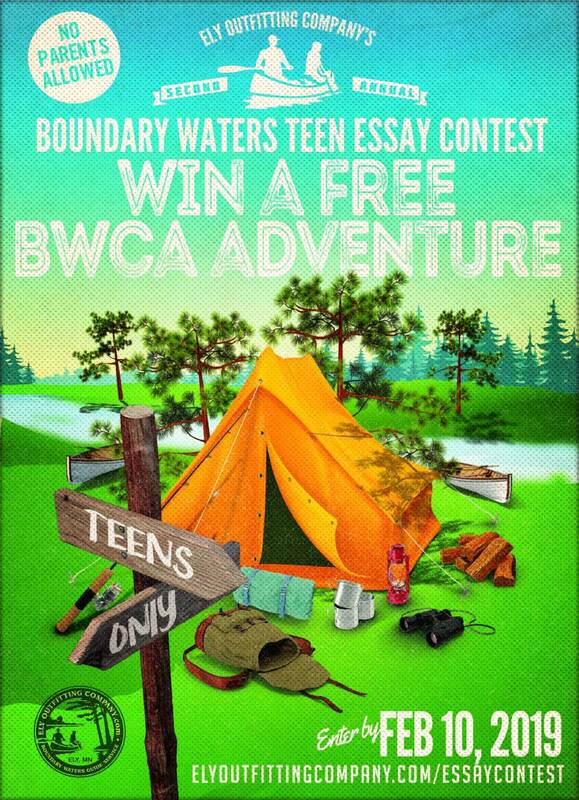 The Boundary Waters Teen Essay Contest is a celebration of unstructured time outside. It’s a chance to prove that young people can safely challenge themselves in the outdoors and return more confident leaders and self-reliant individuals. Recent studies show that young people today spend as little as four to seven minutes outside each day - less time outside than prison inmates. A culture of fear and bubble-wrapped experiences is infringing on young people’s abilities to have free ranging outdoor experiences. Time in front of a screen is replacing time around a stream and this new reality is leading to health issues including increased anxiety, obesity, and attention deficit disorder. This is our response and attempt to buck the trend. We want this country’s next generation to take the reins of schools, businesses, and branches of government with a developed connection and appreciation for public lands and, in particular, the Boundary Waters Canoe Area Wilderness. In addition to one grand prize winner, Ely Outfitting Company is randomly giving away assorted prizes like water bottles, stickers, Boundary Waters calendars, shirts, and hats throughout the duration of the contest. Enter early to increase your chances of winning some prizes! Winning something through one of our random prize giveaways won’t affect your chance of winning the free trip. Everyone who enters will also receive a coupon good for $50 off a complete outfitting package, partial outfitting package, or canoe and camping equipment rentals during the 2019 season. We hope that, if you don’t win a free trip, this coupon will help make it easier to get out and explore the BWCA. The Boundary Waters is a uniquely accessible Wilderness with routing options appropriate for people of all abilities and skill levels. We want to ensure the winning trip is set for success. 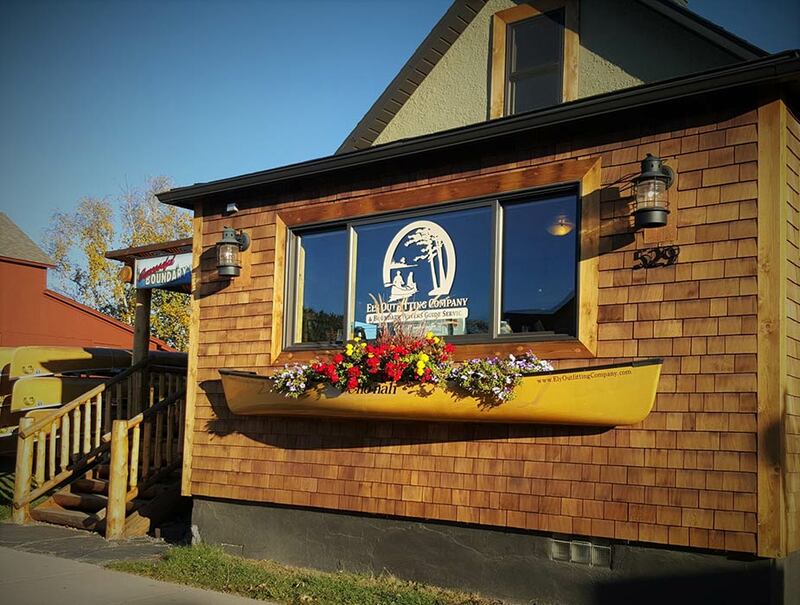 Ely Outfitting Company will help the group prepare for the adventure. We’ll help select an appropriate route based on previous experiences, abilities, and interests. Once in Ely, we’ll review your outfitting package in detail, and go over canoeing, portaging, navigating and camping skills. To ensure adequate time to provide a full pre-trip orientation, we require all trip participants to arrive at our shop the afternoon before launching their trip. We strongly recommend all trip participants spend at least one day canoeing together before arriving in Ely. 10% - Spelling, grammar, and overall flow. Essays should not have spelling errors, sloppy grammar, or incomplete/incoherent sentences. 35% - Originality of idea and content. Essays should be rooted in an original idea that reflects the writer’s personality and ambition. If, for example, a writer is excited about making this a fishing trip consider expanding on how a fishing trip shapes/defines a friendship or what differentiates a wilderness fishing trip from one in the city or on a populated lake. 35% - Individual voice. Essays should reflect a writer’s personal style and voice. Essays should give the judging panel a sense of who the writer is in a fun to read and well thought out essay. Write from the heart with open and honest prose. 20% - Tone and thoughtfulness. An essay’s tone and thoughtfulness should reinforce the notion that the writer is responsible enough to venture safely into the Wilderness without adult supervision. *BWCA experience and canoeing experience are not required, and are not a judging criteria. 17-year-old founder and president of Kids for the Boundary Waters, an advocacy organization working to protect the BWCA for the next generations. He has explored the BWCA every summer (and several winters!) since age 7. When diagnosed with Leukemia at age 13, he made it his goal to protect the Boundary Waters from the threat of sulfide-ore copper mining. Founder, Ely Outfitting Company. Wilderness guide, outfitter, and mega-BWCA enthusiast. He's considered the first person in recorded history to walk and swim from north to south across Quetico Provincial Park and the BWCAW. Owner of Ely's Raven Productions that publishes the Ely Summer and Winter Times. Long-time guide and former Outward Bound instructor. Minnesota Program Director for Big City Mountaineers where he connects underserved youth with wilderness canoe trips. Fred has lived and worked across North America but has made northern Minnesota his home for the people as much as the place. He's also an experienced BWCAW guide. 2014 National Geographic Adventurer of the Year. Author of “A Year in the Wilderness,” about spending 366 consecutive days in the BWCAW. Founder of the Wilderness Classroom. Wilderness guide and explorer. Founder of Generation Healthy Kids. Advocate for the health benefits of youth engaging the outdoors. Mother of four boys under 18 years old. High school senior. Winner of the 2018 Boundary Waters Teen Essay Contest. Successfully traveled for five days and four nights in the BWCA with three of her teenage girlfriends as part of her winning trip. Then, she returned later in the summer and did another parent-free trip with three high school friends. The BWCA has over a thousand lakes and about 70 entry points to choose from. We can help ensure the winning group has a route that matches their previous experiences and skill level. This may mean a relatively short route with travel on smaller lakes that are not as wind prone or a route that doesn’t require moving to a different campsite every night. We will go over the planned route in detail with the group and provide information about our favorite campsites, as well as any rapids, waterfalls, or especially difficult portages. Note that this is a flatwater trip. All rapids and waterfalls have portages around them, and portages must always be used. We will provide an orientation that covers important information about safety, campsite selection, paddling technique, and wilderness navigation. We will also discuss how to properly store your food to minimize bear encounters and what to do in the event of extreme weather. The Boundary Waters Canoe Area Wilderness is America’s most popular Wilderness area with Forest Service rangers paddling through the region to check permits and offer assistance if needed. Rangers and fellow travelers offer an additional safety net to your own common sense and know-how. The winning group’s outfitting will include an emergency communication device. In the extremely unlikely event that an emergency should occur, the device can be used to notify interested parties and receive assistance. Ensure your parents that you will wear your lifejacket whenever canoeing and swimming. It’s a safety requirement of this contest, and always a wise idea. If your parents still aren’t willing to sign off on this trip, consider other ways of doing a wilderness trip. We can provide you and your family with expert trip planning assistance, outfitting, and guide services. Contest is open to current sophomores, juniors, and seniors in high school. Essays must include the entrant’s name, grade in school, phone number, mailing address, and email address. Submit your contact info and essay using our online form. Note that bold, underline, and italics text will be converted to plain text. Deadline for receipt of entries is 11:59pm on February 10, 2019. The writer of the winning essay will announced on at www.elyoutfittingcompany.com/essaycontest on or about March 5, 2019. Limit of one essay per person. All essays must be original work by entrant. All essays become the property of Ely Outfitting Company which reserves the right to print, edit and display essays. Any essay entered in this contest cannot be entered in future contests. Current and former employees of Ely Outfitting Company and their children are not eligible to participate. The determination of the judges is final. No parents are allowed to be on-trail with the winning author’s BWCA canoe-camping trip. All trip participants must be 15, 16, 17, or 18 years old at the start of the trip. Trip participation is limited to a maximum of three or four people, including the winning author. We have chosen a minimum group size of three people (including the winning author) for safety reasons. All trip participants must submit a completed and signed liability waiver within two weeks of the winner being notified. Trip participants under 18 years old will need a parent or legal guardian to complete a liability waiver. If this deadline is not met, the second place essay will be awarded the trip and have ten days for all trip participants to sign the liability waiver. The winning group must submit their desired launch date at the same time that they submit their release of liability waiver. Trip participants agree to provide photos from their trip to Ely Outfitting Company. All trip participants, regardless of their age, must agree to wear a lifejacket whenever they are canoeing or swimming while on their trip; and all portage trails must be used. Winning trip participants are responsible for their own transportation between their home and Ely, MN, before and after their wilderness canoe trip. The winner of our first annual Boundary Waters Teen Essay Contest was Julia Ruelle (wearing the yellow jacket, above). 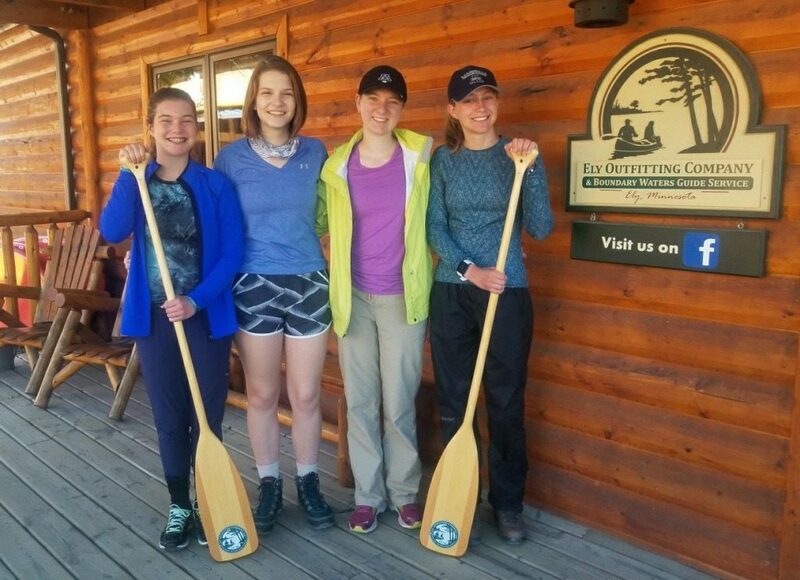 Julia (age 16) was a sophomore at Minnetonka High School in Minnetonka, Minnesota, and journeyed with three friends for a week in the BWCA. Click here for her essay.